Canon EOS 700d / Rebel T5i the successor of 650D T4i is now available for RS.51699 in India form Flipkart. The EOS 700 D T5 i packs with some nice specs at this price and it will compete (v/s) with Nikon D5300. More or less the hardware is identical to the D650D, but there are some improvement in display and Live mode. 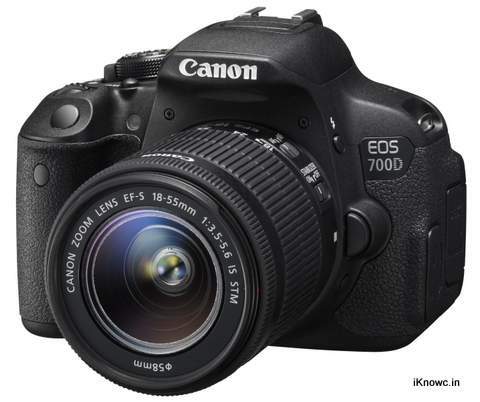 The Canon Eos 700D T 5i is priced at Rs. 51699 in India (body only).